As anyone knows who has the TV or radio on, or reads a newspaper, blog, news post, or follows news on Facebook, the country is being ravished right now by a number of natural disasters. The two biggest right now are the fires in the western half of the US and the hurricanes that have hit the gulf coast and Florida. I happen to live in the western half and we've had three forest fires in our area--one as close as 1-2 miles from us and the current one that's about 16 miles away. Hundreds of acres all the way up to 3300 acres (depending on the fire) have burned. Thankfully, only a handful of homes and outbuilding, and no lives have been lost, but many people have been displaced from their homes and businesses majorly affected. Because of that, my post this time is about the fires over the last 100 years or so that have hit our country. This photo is taken looking at the hillside not far from Cascade Locks, a little town on the Oregon side (we're on the WA side of the river). 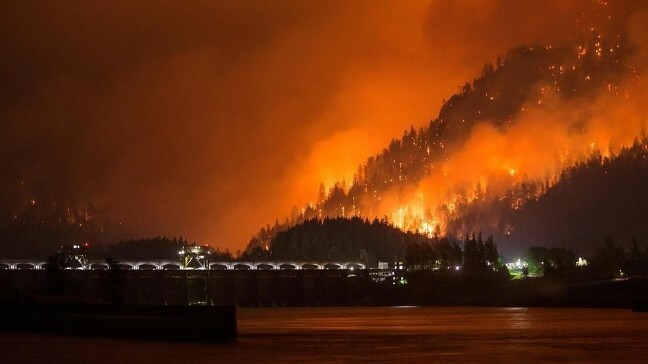 The fire jumped the river a few miles upriver from this spot, as it covered over 12 miles of hillside/forest along the Columbia River. 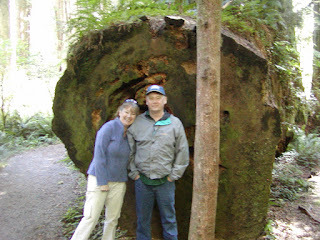 These next two stories are courtesy of Earth Matters Resources website. In 1871, during the week of Oct. 8-14, it must have seemed like the whole world was ablaze for residents of the Upper Midwest. Four of the worst fires in U.S. history all broke out in the same week across the region. The Great Chicago Fire, which destroyed about a third of the city's valuation at the time and left more than 100,000 residents homeless, stole the headlines. But at the same time, three other fires also scorched the region. 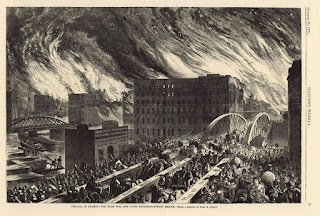 Blazes leveled the Michigan cities of Holland and Manistee in what has been referred to as the Great Michigan Fire, while across the state another fire destroyed the city of Port Huron. The worst fire of them all, however, might have been the Great Peshtigo Fire, a firestorm that ravaged the Wisconsin countryside, leaving more than 1,500 dead — the most fatalities by fire in U.S. history. That all of these devastating fires happened at the same time, over such wide distances, has persuaded many researchers that it was no coincidence. In fact, some have even suggested that the fires were caused by a shower of meteorites, fragments from the impact of Comet Biela. Others believe that high winds moving through the region offer a more sensible explanation for the unusual confluence of events. The Great Fire of 1910, also occasionally referred to as the "Big Burn," is believed to be the largest single fire in recorded U.S. history. It burned more than 3 million acres in Idaho, Montana and Washington —an accumulation of over one hundred fires thought to have been started by ashes that flew from the coal-powered trains which traversed the region, and into the dry forests of northern Idaho and western Montana. In all, a total area roughly the size of Connecticut. There were 87 fatalities from the fire and 78 of those were firefighters. The handling of the blaze went on to shape the future of the U.S. Forest Service. 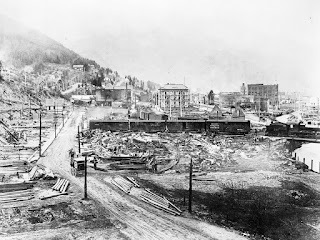 Immediately after the 1910 fire, the service vowed to fight all wildfires, even ones that are naturally occurring and of no threat to human life or property. The merits of this policy are still debated today, especially by ecologists who insist that some wildfires are necessary for ecosystem health. I was especially interested to find out if there's been a major fire in the awesome old-growth Sequoia/Redwood forest--The Redwood Mountain Grove, since it was designated as a park so the trees could be protected from loggers. Here's what I found in Wikepidia, and it actually surprised me to a great degree. There have been controlled burns since 1969. Parts of the grove were burned to prevent the possibility of other fires from happening, and they aided in restoring the ecosystem and natural life in the area. Fires such as these were also used for scientific research. The fires can have major effects on forests and other wilderness areas. The fires can act as part of the natural cycle for restoring natural life in the environment and ecosystems in the grove and other parks. The Redwood Mountain Grove was involved in several studies that looked at different species of trees present in the grove and the environment surrounding the area. You can't talk about wildfires in the US without mentioning California, as nearly every year that state is hit with huge fires that threaten lives, homes, and businesses. But one of the biggest ever was the fire during the summer of 2008, a total of 4,108 fires in California, due to lightning storms and drought conditions, contributed to one of the worst fires this century. The affected regions included Northern California and much of Central California, with the fire spreading over an area of 1,375,781 acres. Over 26,000 residents were evacuated and many lost their homes. Smoke and haze from the fires covered the region for much of the summer. What made these fires unprecedented and dangerous was the high number of fires so early in the season, burning concurrently over a long period of time. All three of the fires in our area this year were man created. The first this summer was a man who was setting off fireworks and it started the nearby woods on fire. The second and biggest one still only 7% under control at the time of the writing if this post is the Eagle Creek Fire, caused by a 15 year old boy and his friends--the one boy had smoke bombs and he tossed at least one into the woods on one of the hiking trails in the Columbia Gorge. 150 hikers had to be led out and rescued who were on the trails at the time, and so far, three homes have burned. The third fire, also burning now but holding at under 500 acres is at the base of Mt. Adams, WA...caused by a camper (unknown) who chose to pitch his tent and build a fire apart from a designated camping area. His fire started this forest fire. All of these were careless, thoughtless actions that could have been avoided, which unfortunately, is too often the case with many wildfires or forest fires in history. Miralee Ferrell is a best-selling, award-winning author with 22 books in print. Her newest, Runaway Romance, releases November 1, and the movie version will air in January, 2018, on UP TV (a cable or satellite channel). Miralee is also the publisher at Mountain Brook Ink, a traditional press publishing fiction you can believe in. She lives in the Pacific NW with her husband, their two dogs, two cats, and 11 chickens. You can learn more about Miralee and her books on her website. Thanks for your post. Praying for people in your area, as well as the other locations marked by tragedy from natural disasters. Thank you, Connie. We aren't in the bad shape the hurricane victims are, but the fire still isn't contained and it's slowly moving east, so we're keeping an eye on it. Very interesting post. I had no idea there were other fires during the Chicago Fire. Neither did I! It's amazing what you can find out with a little research. We lived in Northern Wisconsin for 11 years very near Peshtigo back in the 80's. We went to the Fire Museum there. (Pretty small building) Very interesting learning the story and seeing melted items. People had to bury things to keep them safe and jump into ponds to save themselves. There was talk of fireballs jumping through the Treetops. This fire was bigger than Chicago's but all resources were sent to Chicago and communication was slow, so that played a part. By the time it was known-- it was too late. Fodder for a novel? Thanks for the article. I love museums, you can learn so much there! Thanks for sharing that. And yes, there's tons of interesting historical facts that make excellent book material. Fascinating and yet sad post! Careless, thoughtless actions can affect so many! This made me think of James 3:6 "And the tongue is a fire, the very world of iniquity; the tongue is set among our members as that which defiles the entire body, and sets on fire the course of our life, and is set on fire by hell." I have been praying for you and for these fires to be contained and put out. Thank you, Becky! So true. And we appreciate your prayers very much. There was a big fire in San Francisco in the late 19th century too. 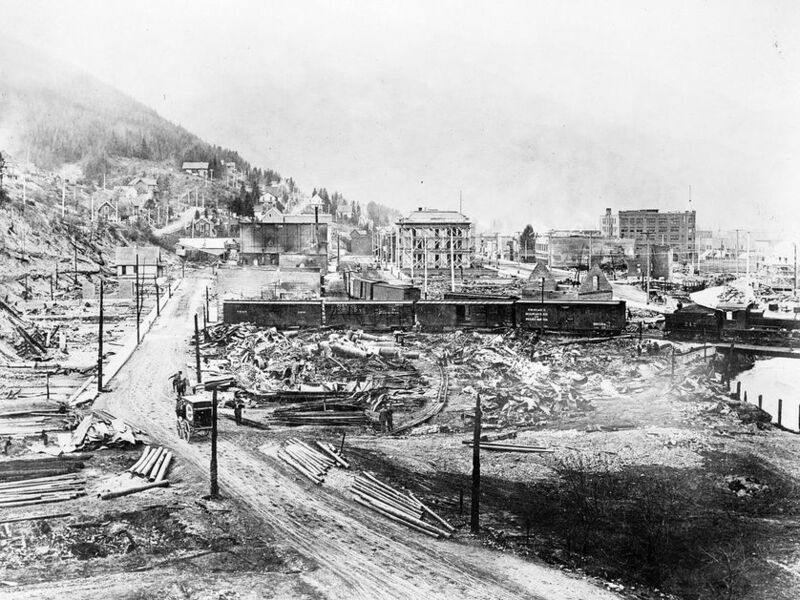 As bad as fires are now, I imagine it was much worse in the 1800s when a fire devastated an area and people lost everything. Now people have lots of sources to turn to for help, but not back then. I'm not making light of people's loses now, just thinking in terms of a historical writer. I agree, Vickie. We have so much air support today and other resources. I can't begin to imagine what it was like then. I know when homes or towns weren't threatened and it was only in the forest, the typically let it burn. Fires are devastating at any time and scare me more than hurricanes and floods, but imagine living through any of those fires without today's resources. How horrible that must have been since it's bad today. Fires are just so hard to stop. Thanks for an interesting post. I agree, Martha. Fire is devastating. If I had to choose between a flood hitting my house or a fire, I'd choose the flood. At least something would still be there and the trees around our house wouldn't be gone.